The Shelton Economic Development Corporation (SEDC) and the Naugatuck Valley Development Corporation (NVDC) prepared and submitted a new (2004) Comprehensive Economic Development Strategy (CEDS) for the 17 municipalities that make up the Naugatuck Valley Corridor. 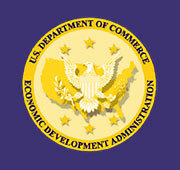 Required by the US Department of Commerce Economic Development Administration (EDA), the CEDS allows the region to qualify for EDA assistance. The CEDS is designed to guide the economic growth of the region. It helps create jobs, fosters more stable and diversified economies, and improves living conditions. It provides a mechanism for coordinating the resources of individuals, organizations, local governments and private industry concerned with economic development. You can choose to view the report online or download it to your computer in either PC or Mac format. To view the CEDS report, you must have Adobe Acrobat Reader ® installed on your computer. For your convenience, the report is divided into sections for faster downloading. You can choose to view the report online or download it to your computer in either PC or Mac format.